As a leading provider of IT services. We would like to meet with your team and provide a no-obligation health assessment of your computer network and business technology. We will analyse your network to identify vulnerabilities that could leave your organisation at risk of a business interruption. 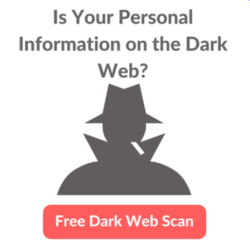 Plus perform a DarkWeb scan to see how much information of yours is available on the Dark Web. Depending on what we uncover, we will also make suggestions on ways to prevent unauthorised access. We will augment security systems. We will better lock down sensitive data, become more mobile and, in general, get more out of your existing technology infrastructure. Our Client Risk Report Is a 6-8 page Executive Summary that provides an overview of the devices on the network. 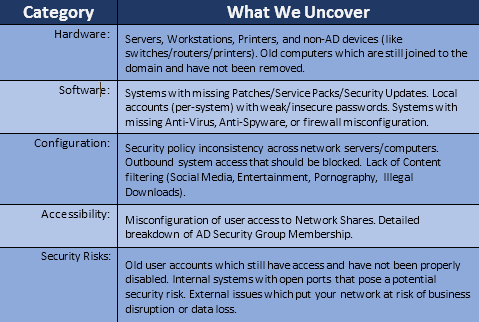 Along with a network Risk Score and analysis of each potential issue we uncover. We will review this document with you, discuss the findings, in detail, and answer any questions you may have. No software installed, so no one needs to know, including your current IT service provider. No agents or probes living on your network for days, weeks, or longer. An average, mid-sized network is scanned quickly, taking just 30 minutes to get the job done. LIMITED TIME OFFER. Network Assessments of this type are valued at nearly £1000. However, for a short period of time, we are offering up free Network Assessments to a limited number of companies. There’s no cost to you. The Client Risk Report is yours to keep, and there is absolutely no obligation to retain our services. Please use the form below to request your free scan today.